In terms of equipment needed to run a company, a window cleaning service requires the least amount of equipment out of almost any business I can think of. In fact, the limited amount of tools needed is one of the most attractive benefits people consider when looking to start their own window cleaning business. However, just because you can get by with a limited amount of equipment, doesn’t mean you can run a profitable and successful window cleaning business by being a cheap skate. Earlier this week while I was checking up on one of my crews as they cleaned a large strip mall I noticed another window cleaner who I didn’t recognize cleaning a building across the street. On the way over to introduce myself I saw that he was using a pole and a 12″ squeegee to clean some huge 6′ x 8′ storefront windows. The man was clearly an experienced window cleaner, so I thought it was a little strange for him to be using such a small squeegee on a large piece of glass. After talking with the man for a bit I casually inquired as to why he wasn’t using a larger squeegee. What he said threw me for a loop and is the reason I wrote this article. He told me, that he had been cleaning windows for over 10 years and a 12 ” squeegee was all you needed because larger squeegees couldn’t clean any more efficiently than your basic twelve incher. Let me clear this up right now. The above statement is completely and absolutely untrue! Common sense should tell you that, but let me give you a basic example to demonstrate how wrong this window cleaner is. Let’s use the same piece of glass mentioned above. A 6 foot x 8 foot (or 72 inches x 96 inches) window. And we’ll clean the same window with a pole and three popular sized squeegees: 12″, 18″ and 24″. And remember you must clean the squeegee blade of excess water between each stroke. There are a variety of methods for doing this, and the method doesn’t matter, all we need to know is that this step of the cleaning process must be repeated for every stroke and that it takes up time. So, in this simple example you can see that by using a 24″ squeegee instead of a 12″ squeegee to clean the same window you cut the amount of strokes needed by 50%. That’s 3 less strokes and 3 less times you need to remove excess water from the blade for each same sized window you clean. 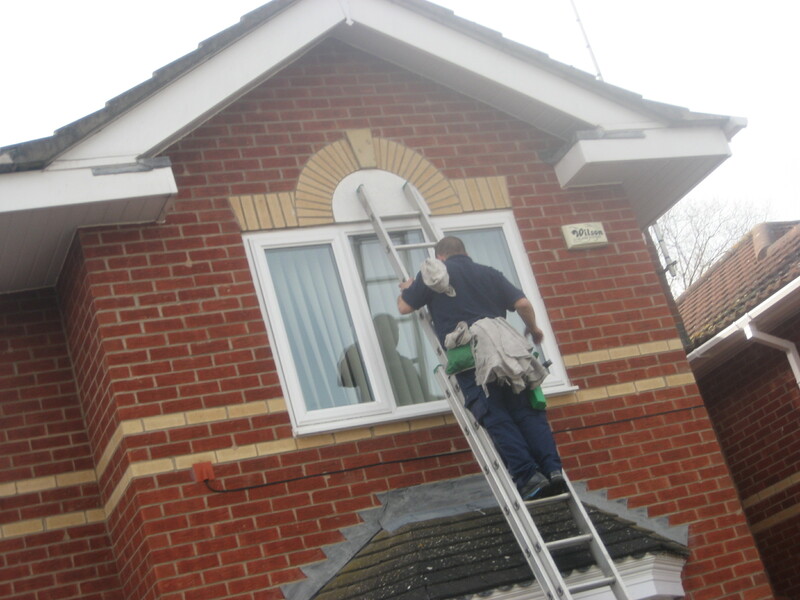 As the saying goes ‘Time equals money.” This is especially true when running a window cleaning business. Therefore anything you can do to speed up your efficiency on the job directly impacts your bottom line. For example if it took you 4 minutes to clean the same window with a 12″ squeegee, you could cut that time down to 2 minutes by using a 24″ squeegee instead. So if you charged $4.00 to clean that window you would have increased your earnings per minute from $1/per minute to $2/per minute. Think of how this increase of efficiency could add up over the entire job? The entire day? Hopefully now you understand how having the optimum equipment and the proper tools for the job can boost your efficiency and put more money into your pocket.